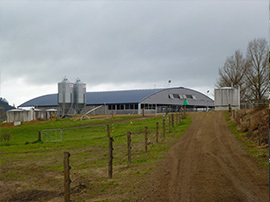 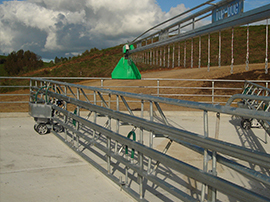 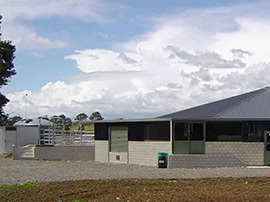 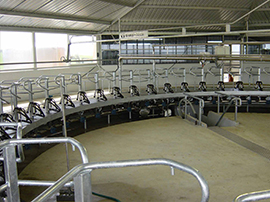 Rotary or rotating dairy platforms are designed to reduce labour, expenditure and time spent in the dairy. 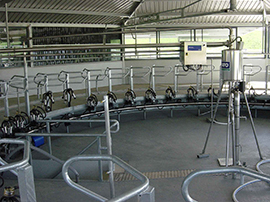 A well designed rotary platform is popular with farm owners releasing staff for other on-farm work as well as future proofing herd increases. 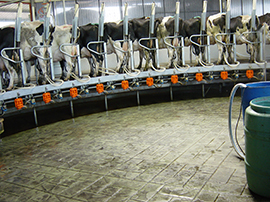 When herds are combined and cow numbers become too large for an existing herringbone or legacy rotary, the rotary system is the next economic and efficient step. 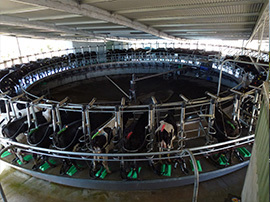 Rotaries designed, manufactured and installed by Dairy Tech show significant savings, for example; a 50 bail dairy, milking 950 cows in a season-average of 2 hours with two operators in-dairy, and a third bringing cows in; an 80-bail rotary, installed in 2004, milking a minimum of 600 cows in just 1 hour.